Whatever your family’s set up – 2 working parents, one parent staying at home or a single parent family – many families have some form of outside help with the care of the children. If you are new to this, childcare can seem like a daunting myriad of different choices. Should your child go to nursery so as to get stimulation from socialising with other children? Would they be better off in their own home environment? Or a mixture of the two? As well as having your child’s best interests at heart, you also need to think of yourselves – if you are a family of two working parents and more than one child, how do you manage doing drop offs, pick ups, maybe to more than one different place? Life as a parent is hard enough, so try to choose something in which the logistics will be manageable too! The child is dropped off in the morning and picked up in the evening. The main advantages of a nursery are (1) that it provides a broad range of different activities and social stimulation, (2) it is generally a very safe environment and (3) with one child, it is generally cheaper than having a nanny. The main disadvantages of nurseries are (1) they can be quite inflexible on hours – so if your train is running late and you can’t pick up on time you’ll normally be fined; (2) bugs and sickness tend to be rife, so you may face regular issues with your child not being able to attend nursery due to illness… do you have a back up plan? and (3) children are on site all the time, so will normally spend the majority of their days in a fairly small area. Childminders are Ofsted registered professional childcarers who look after children in their home. Depending on the childminder, they may have several children at one time, or just one or two. The main advantages of childminders are that it is a home environment that your child is being cared for in, which appeals to many parents over the more structured care of a nursery. Children will normally have others to play with too, and the childminder will often take children to different groups and activities. There is also sometimes a bit more flexibility over times so a late train is not so stressful. Main disadvantages are, once again, sickness – a childminder won’t generally want to look after a sick child. Also you need to choose your childminder carefully – inspect their house and get an understanding of their daily routine as some childminders may spend a lot of time doing school runs and some times of day can be quite full on for small children! A nanny is a child-carer who comes to your home and works exclusively for your family. As well as looking after the children, they can help with other things around the house, like the laundry, managing the children’s rooms, preparing meals for the children and light housework. Having a nanny can help life as a working family much easier. 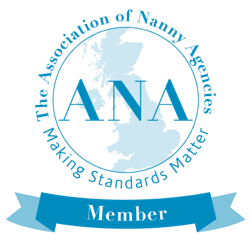 A nanny is often able to do things like sorting the children’s clothes and toys, changing children’s beds etc, saving your time not at work to be able to enjoy your family more. Nannies are generally full of good ideas about how to entertain children creatively and will take your child to groups and activities of your choosing. Finally, when your child is not well, the nanny can still come to work, which helps avoid having to take time off yourself. A good nanny really is an asset to the family. Nannies are, however, the most expensive form of childcare. Less so, however, if you have more than one child and with 3 or more children they are generally on a par or even less than other forms of childcare. However, you should also be aware that, as an employer, you are responsible for paying their tax and national insurance, as well as ancillary costs such as mileage (if using their car) or car insurance (if using yours). As with any employees, nannies are entitled to statutory employment rights such as paid holiday and statutory sickness pay. All these costs should be considered when you are looking into your childcare options. The choice is wide, but it’s important to get it right to ensure a smooth family life! If you are still considering your options and would like to talk them through, please get in touch.